Divorce, technically speaking, is a legal proceeding that changes your marital status. It is putting it on the record that you are no longer legally married. However, the impact of divorce goes way beyond a legal proceeding. It is when the effects of your divorce upset the rest of your life that divorce coaches can help you. It may seem like hiring divorce coaches is just another financial aggravation that you can do without, but in recent years, they have proven to be invaluable support and mentors to those struggling to make new and crucial decisions for the rest of their life. 1. The emotional trauma of your divorce is making it difficult for you to make objective decisions regarding your children. It is difficult to separate the emotional whirlwind of a divorce from the decisions that you now have to make for the rest of your life. Sometimes, however, it is necessary, especially when children are involved. You don’t want to traumatize your children any more than you need to by letting your anger or sense of betrayal cloud your judgment on what is best for your children. A sympathetic and objective observer can help you here, especially if they have a professional background in child psychology. 2. There are crucial decisions that you have to make on your financial arrangements. If you accumulated joint earnings or even went into business together during your marriage, then a divorce means a split of your financial and material assets. This can be a tough, even hostile discussion, and emotions can run high, keeping you from making wise decisions. A lawyer can’t help you there. Ultimately, the decision of what to fight for and keep, and what to surrender, is yours to make. In such instances, a divorce coach with a professional financial background can help you. 3. You need a sympathetic professional to support you through the entire process. Does that sound like an unnecessary reason to spend more money? Maybe not. Sure, you have friends and family to support you, but they cannot always be there for you, just as you cannot always impose on them when you need to. In recent years, there’s a growing number of professional life coaches who have shown their reliability and effectiveness in guiding and mentoring people towards success. Divorce coaches specialize in helping people through the difficulties of a traumatic divorce, and they guide and nurture and support you as you pick up the pieces of your new life. Don’t underestimate the value of sympathetic support and a nurturing mentor. Like life coaches, divorce coaches specialize in helping people move past their issues and build a new life out of the wreckage of the old one. They are reminders that you don’t have to go through it alone, and that it is possible to start over again. Hiring a professional can help you have someone to whom you can vent to when the stress of divorce becomes too much. And when you have expressed all your pent-up and bottled emotions and frustrations, they will be there to guide you on how to move forward. What comes to your mind when you hear the word divorce: an end or a brand new start? Whatever side you’re on, divorce is a painful process to go through. Your emotions will continue to stir as people around you never stop to bother you with well-meaning yet annoying questions. Whatever you feel, you know that at some point, you have to stop sulking and start living again. Before you get started, you need to understand that divorce is not the end of the world. There is life after divorce and a better life at that. It all depends on how much you work for it. Your family and friends will try to be sensitive but you cannot stop them from worrying. They care about you and they need to know what you feel about the entire situation. Accept the situation you are in. You are divorced. Embrace the fact that you are once again single and must go on with your life. When you accept your status, it will be easier for you to face the world with a smile and live like you’ve never been hurt. The next important thing in dealing with your new life is to understand the changes in your life. You cannot keep on asking what is divorce: an end or a brand new start? You need to start accepting the change. You can no longer call your spouse if you need something. You should now learn to manage your life by yourself without someone meddling with your decisions. There may also be some changes that you want to make after divorce. Explore your possibilities and don’t limit yourself. Take time to think about the advantages and disadvantages of the things that you want to change in your life. For example, you may want to move to another place, start a new career or travel to another country. There are plenty of things that you can do to deal with the change of your marital status. All you have to do is learn more about your options and decide what’s best for you. Plan your life without a partner. Write down a list of things that you would like to do and put them on schedule. After contemplating your goals, it’s time to put everything into action. Start doing the things that you desire. If at times you find yourself too emotional or weary, keep going on. Going through life after divorce is not easy because you may still feel too weak to move on, but you have to work on and on until you feel better. As you go through the changes, observe what works for you and keep on doing them. Remember, the decision is all up to you. Above all else, you are the only one who can determine what is divorce: an end or a brand new start? Social Media is becoming one of the reasons cited for divorce in many cases. It is now being considered as the newest threat to marriage and relationships. Various researches are done to prove this latest claim of divorce petitioners that social media has been instrumental in their break-ups. Slater and Gordon law firm revealed that they commissioned a study to affirm the reasons given by their clients that social media sites such as Facebook, Twitter, Skype, WhatsApp, and Snapchat among others play a significant role in the dissolution of their relationships. According to results, one out of seven married individuals considers filing for divorce because of their spouse’s postings in postings in social media sites. One out of every ten persons said that they check their partner’s social media accounts regularly to see who they are chatting and meeting with when not at home or work. • They discover that their partners are connecting with former romantic partners. It sparks jealousy and anger which if left unresolved can lead to regular heated arguments. Many wives and husbands admit that they search online to find evidences that their partners’ are having affairs or flirting shamelessly with other men or women. • They said that inappropriate photos are posted in these social sites. They also become suspicious of flirty messages that transpire between their partners and the other parties. • Their partners consumed lots of time in front of computers which greatly affect their quality time together. This matter brings daily arguments which eventually lead to more serious problems like separation and divorce. • Family bonding is affected due to the lure of social media which offers instant entertainment and interaction. The negative effects are alarming especially now that social media is more active than ever. New applications and websites offer lots of instant access to different forms of entertainment and fun. Popular social media sites are offering new features that bring more opportunities to meet new people across the world. Another innovation in modern technology allows social media applications to become available in mobile phones. This brings faster access to messages and information anytime and anywhere. Cyber relationships also become easy because global community is easier to reach using social media sites. Social media gives instant access to people in your past and brings you lots of new friends from different places around the world. The world has become one small virtual community through modern technology and presence of social media applications. They are meant to bring closer relationships especially when loved ones are away from each other. They are meant to become bridges of communication between and among friends, relatives and people who are in relationships. They are meant to enrich the lives of users and bring immediate connection. However, too much freedom to access information and entertainment given by many social media sites can really affect relationships. When one partner begins to conceal something, change passwords often, and spend long hours in front of Skype, Snapchats and Facebook, suspicions cannot be avoided. This then leads to relationship problems which can lead to separation and divorce. This validates further the result of surveys that determine social media as a root cause for divorce. Finding legal help or a lawyer can be expensive nowadays. Advance retainers can cost you around $5,000 and many lawyers charge $300 per hour. Unless you have a good income and substantial savings, finding legal professionals for divorce proceeding is likely out of your financial capacity. However, you can still seek help from some lawyers and other legal service agencies. Couples who have been in a short marriage (5 years or less), have no children and share no substantial assets can be considered for an uncontested divorce. A divorce that is uncontested is one where neither of the couples objects the divorce. There is no need for the court to come up with the verdict regarding issues related to alimony payments, child support, and property division. They may be able to use summary or truncated procedures so that they can obtain a divorce without paying substantial fees other that the court filing fees. If the couple does not qualify for an uncontested divorce, they are left with no choice but to retain an attorney within their means of income, or seek legal help from other parties if they are low income. This article will discuss some of the ways on how to find a divorce lawyer for low-income families. In most parts of the country, many divorcing couples do not have the means to acquire an attorney. Here are some of the ways to acquire legal help at a fraction of the cost or free of charge. There are numerous national networks of legal service offices funded by federal grants that offer free legal help in many civil cases intended for low-income people. You can ask some legal help regarding divorce and other cases from experienced paralegals and staff attorneys. The majority of legal aid office only offer support to people with income below a certain level. Some federally funded programs also consider all your assets first regardless of your income. Many bar associations offer pro bono programs with the help of lawyers who are willing to provide their legal service free of charge to eligible clients. You can qualify in a pro bono program if you belong to the low income bracket, have aids or a senior citizen. As with legal service programs, you need to provide valid proof of your income level and the total value of your assets. There are some local and county bar associations that offer self-help clinics to low-income people. You can get to talk with lawyer volunteers. They can help you out by answering some of your legal questions and filling out forms. These self-help clinics are usually held weekly or monthly. You may get to talk with the lawyer individually or as a part of a large group. Finding a divorce lawyer for low-income families can be frustrating. However, you need to patiently deal with pro bono lawyers as they usually work on large caseload or help many low-income clients aside from their regular clients. You also don’t need to worry as these people can help you out despite your financial capacity. They do not look down on their financially incapable clients as they have to deal with so many people with similar kind of situation in the past or they themselves have gone through the same financial woes in the past. Filing for a divorce is a tedious process. It requires the physical preparedness of the soon-to-be separated spouses to attend court hearings and other related proceedings as well as the great emotional turmoil it will bring. Fortunately, (or still not so fortunately for the affected parties, such as the children), there is now a new method to obtain divorce papers: filing divorce papers online is now the easier and less costly way to take care of all the divorce paperwork. With just a click and the knowledge of the proper procedures and websites to go to, couples can easily put a close to their marriage. The first thing to do is for the spouse initiating the divorce to prepare the required petition. It should be signed and notarize if required. The divorcing spouse should also be able to settle on how to divide the property and assets if no ante-nuptial agreements exist. The arrangements for the custody of the children, if there are, should also be agreed upon beforehand. After these first two basic requirements are consummated, it is time for the spouses to determine the eligibility of divorce in their respective state. The residency requirement for divorce means that the spouses should have lived in the state for a certain amount of time, usually around three to six months. The next step then is to locate the state court’s website provided by the National Center for State Courts. If there is uncertainty on which website to select, look for a “court structure” link to review the Courts in your state and to see which Court can handle the divorce. Next, browse through the website to see if it offers e-filing or electronic filing. Review the website and look for information about the online preparation of divorce forms. The spouse initiating the divorce may look for either self-help or self-service link, an “e-filing” link to run a search for e-filing methods and procedures or perhaps the Family Court or Family Law section, if there is. The next procedure is to follow the instructions in e-filing and online preparation of divorce forms provided by the website. Some of the requirements that the spouse may need to fill-out may be personal information such as the spouse’s name, current address, contact number, the names of the children if there are, their dates of their birth, and even their social security numbers. Information about debts and assets may also be required. If the spouses come to an agreement on the issues, the terms of the agreement such as asset division, child custody, and support shall be disclosed. Now in case the state does not offer e-filing, the divorcing party should find an online divorce document preparation service provider which allows the completion of forms online and then provide a printable copy of all the forms and instructions. It will be best to do a comparison with all the service providers as the services may vary and they tend to charge fees. Find the one that is reasonable and easy. Once the necessary divorce documents are prepared, it is time to file the forms with the Courthouse in the county where the parties live. The Court Clerk’s Office in the county where the divorce is filed may provide better assistance for all the requirements and the necessary fees. Take the forms and copies along with the filing fee to the Office. After filing the documents, the other spouse should be given his own personal copies. This is important for the other spouse to be aware of the advancements of the proceeding and avoid misinformation. Sometimes, the divorce may transpire and achieve finality out of court especially when the two parties agree on all terms, but naturally, everything has to advance in court. There will be a need to attend hearings and that the divorcing parties may order for a schedule if no notice was sent. The preparation for the hearings is a whole new story altogether. There will be a need to prepare the necessary documents, the witnesses and the competent counsel to represent the spouse. Once everything is settled and the court renders the decision, which should likely be in favor of the separation, everything else rests upon the separated spouses. The use of the internet in making transactions easier is extended even to the most delicate matters such as divorce. This time around, couples can finally terminate their relations in a less time-consuming manner, thanks to these all-new methods of filing divorce papers online. You gave it your best shot, smiled through the pain, and even God knows you tried to see the brighter side but still, here you are. Divorce is never easy on either party; from splitting assets to who gets custody plus the emotional trauma, it’s one hell of a ride. If you can scale all these amicably without having to visit the court, the divorce can become a little less thorny. But if you must go to court, you may want to consider getting an uncontested divorce. Simply put, an uncontested divorce is one where both spouses unilaterally concur on all the issues concerning the divorce. All matters regarding property division, debt division, custodial responsibilities and support must first be settled before you can be eligible for an uncontested divorce. Another condition for eligibility is that you and your spouse must both agree to opt for an uncontested divorce. In case your partner doesn’t agree, you can still be eligible if you can somehow prevent them from appearing in court (don’t go getting any crazy ideas though). This divorce is usually granted when both parties decide not to provide an answer within the required timeframe after being served. If there is no answer within this period, then the divorce becomes uncontested. But just because a divorce is uncontested doesn’t mean it will run smoothly. It usually works best if both of you are financially independent of each other, and you don’t have so many fixed assets to divide. What is an uncontested divorce and what can you benefit from an uncontested divorce? 1. 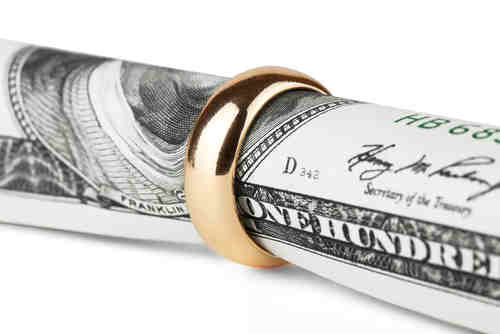 Cost – Obviously, due to the ‘uncontested’ nature of this divorce, it is generally cheaper than the contested divorce. Normally, the cost of completing an uncontested divorce can just be limited to court filing fees. Even when you both hire lawyers for the process, fees can be minimal if you can settle without going through court proceedings. Divorce is difficult enough already, why should it also be a financial burden? 2. Time – With fewer proceedings, paperwork and legal jargon, you can get your divorce more quickly. The last thing you want after deciding to split with your partner is to keep seeing them time and time again. You just want to get it over with so you can move on with your life. Getting this type of divorce will save you valuable time. 3. Avoiding conflict – When you settle matters quickly with your spouse, there is a much lesser probability of conflict. Of course getting a divorce will always result in some form of conflict, but if you’re not meeting to iron out details for too long, chances of conflict are significantly lowered. You can’t fight when you’re not there. 4. Avoiding court stress – Typically, you can’t remain close friends with someone you took to the court. Where shared custody is agreed upon, you have to maintain a cordial relationship with your ex at least for the sake of the kids. But if you subject them to grueling court sessions and bitter arguments, guess who’s not going to be cordial with you? Also, court sessions require full disclosure, so it’s goodbye to all your marital secrets. All financial and personal information become public knowledge. You can choose to file under seal, but this process is often quite tedious. Best option? Avoid it altogether. 5. Avoiding Lawyers – If both of you can reach an agreement amicably on your own, then there may not be a need to hire a lawyer. Unless where the stakes are incredibly high, or there are tricky legal procedures, you can be granted your divorce without going to an attorney. Especially if your state laws provide a simple process that fits your situation. You only need to be sure you understand your legal rights and you don’t give them up unwittingly. Settling for an uncontested divorce is becoming increasingly popular today. If you haven’t been married for too long and only a few assets to share, this is your surest bet. Who knows? Maybe in the course of trying to reach an agreement with your partner, you may begin to understand a lot more about each other and suspend the dreaded experience. Good luck!!! One of the most shameful acts that still persist in our society today is domestic or family violence. Generally, violence is severely frowned upon, but the prospect of causing physical harm, resulting in lasting damage to your own family or loved ones makes domestic violence more appalling. If you or someone you know is a current or potential victim of domestic violence, filing for a protection order could protect you from the dangers of being physically or even sexually harmed. A protection order is a court issued injunction designed to check domestic violence. The person whom you’re filing the protection order against must have committed or threatened to commit an act of domestic violence within the last year. The filing process is quite straightforward. If you believe you’re a victim of family violence, you can simply submit a petition through an attorney to any court for the issuance of an order of protection. Usually, the application is filed in the region where you or the offender resides. After completing the formalities, you will be scheduled before a judge who will evaluate your petition and either approve or refuse the order. Are you eligible for being granted a protection order? Well here’s what the law says: “If the court finds that family violence has occurred and is likely to occur again, a court shall render a protective order. To obtain a protective order, the victim and the offender must be (1) related by blood or marriage, (2) living together, or previously lived together, or (3) have a child together’. If you meet one or all of these conditions then go ahead and file that petition. The victim should file as soon as the violence occurs. They may not survive the next one. Thankfully, there is no longer a fee for filing against domestic violence offenders. But it is not completely free; you still have to make arrangements for attorney fees, serving fees, modification costs or any other required expense. These amounts may be overlooked in certain circumstances. After all, lack of money should not keep you from filing a petition if you feel you are in danger. Applications can be made to adjust the protection order or even dismiss it totally. In such instances, the procedure is governed by this clause: “The defendant may file a petition to request that the order be modified or dismissed. If your order of protection gives you exclusive right to your home, the hearing will be scheduled within five (5) court days of the defendant’s request. If you do not have an exclusive right to your home, the hearing will be scheduled within ten (10) court days. If you have a pending family law related action in Superior Court, the hearing will be held in Superior Court”. Usually your appointed attorney should worry about this on your behalf, let them handle it. A protective order not only prohibits an offender from committing further acts of family violence, it also protects you from direct or indirect threats, and may prohibit transfer or disposal of property. In certain situations, the protection order may also mandate the offender to participate in court approved counseling or vacate the premises of the victim. Today, filing is done electronically so all approved protection orders are easily accessible to law enforcement agents. Federal law states that a valid protection order is enforceable anywhere in the U.S. Therefore, if an offender stalks you in another location, the police are obligated to uphold the protection order regardless. This includes identifying the protected person, the details regarding the offender, and other important details. The police are regularly updated with protection orders issued in their area and they often keep the list of such orders. If there is an order violation, they are notified about it. The agents can arrest the offender and file charges accordingly. So remember, if you feel threatened or the person you filed against violates their order, alert the police immediately. Even if you are not qualified for a protection order, you may be able to have the person booked for stalking or trespassing with criminal intent. Also, learn to protect yourself physically; a protection order is a piece of paper, it will not shield you completely from all other forms of violence.